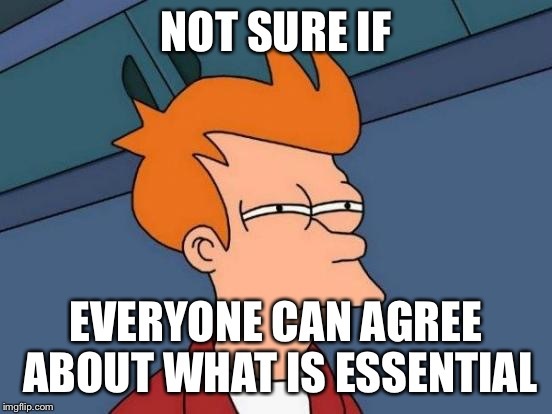 If it's not essential then it should be a private sector job. 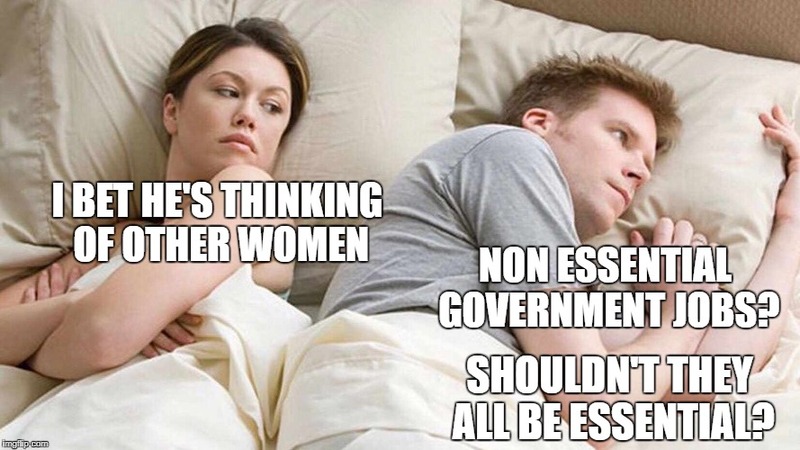 I BET HE'S THINKING OF OTHER WOMEN; NON ESSENTIAL GOVERNMENT JOBS? SHOULDN'T THEY ALL BE ESSENTIAL?